Since the introduction of the telescope in 1609 by Galileo, it has been the most important instrument in astronomy. When you want to spend an evening stargazing, exploring the moon’s craters, counting the stripes of Jupiter or seeing whether Uranus has rings, you will pull out your telescope. Sometimes, however when you wish to make an evening of viewing the heavens the images in your telescope will appear fuzzy. This is common problem with every type of telescope. 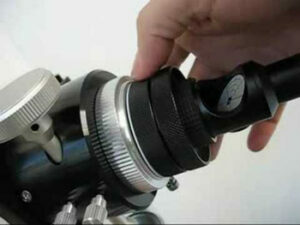 Telescope collimation is extremely important in order to keep your instrument operating at peak efficiency. It will allow you to be able to see the spectacular objects that are resident to our solar system and perhaps even beyond. So what exactly is telescope collimation and what does this terminology mean to the average amateur astronomer? To put it in the simplest language for all to understand telescope collimation is the proper aligning of the optical components of your telescope. These components are your lenses, mirrors, prisms, eyepieces or any combination of these optics. It does not matter what type of telescope you have whether it is a refractor, a Newtonian, or a Schmidt-Cassgrain telescope collimation is an important process to learn. It is an industry practice for manufacturers to do telescope collimation before they even leave their warehouse, so you may wonder if you should change their adjustments. After all, shouldn’t the telescope makers know more about this process then the average person? Where as the builder and distributors of your instrument perform telescope collimation for you for you before hand there is a lot that can happen to your telescope between the time it is shipped and it shows up on your doorstep. Any amount of shaking or jarring during transport can send your optics out of alignment. This will most likely be the longest trip your telescope has been on since assembly and this can throw off any previous telescope collimation that were made to your product. Another problem that arises is if you move your telescope on a regular basis to places where the skies may be darker. All of this makes it important for you to learn how make these subtle adjustments of telescope collimation yourself. 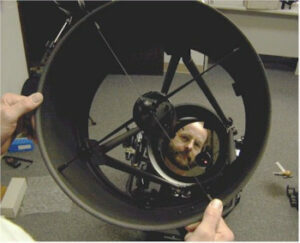 So take the time to review the instructions in your instrument to learn proper telescope collimation. It will be sure to enhance your view of the night sky and enable you to have years of an enjoyment as an amateur astronomer. This guide on astronomy telescopes forms part of my stargazing binoculars posts.